Dentinator has many years of experience in removing hail damage from cars. We have been operating on the Gold Coast since 2010. Dentinators father and son team means the person that quotes for the hail removal actually does the work. 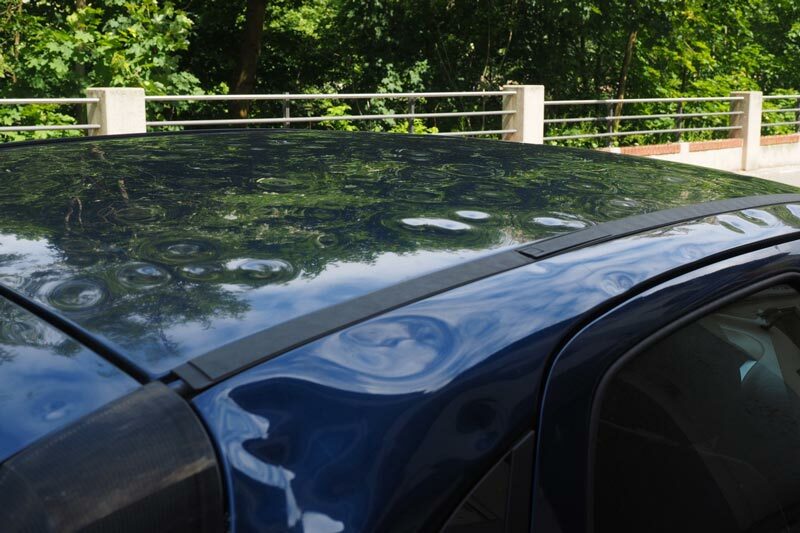 Hail damage is removed using the paintless dent removal (PDR) method which allows the dents to be skillfully removed from the metal panels leaving the paintwork in original condition. There is no sanding, filling, spraypainting or paint matching. In many cases PDR is considered to be a superior method than traditional panel beating and spraypainting. We are a mobile service and can come to your home or work for a free quote. Our mobile service allows eligible vehicles to be repaired at your home as PDR is a very clean and tidy process. Alternatively we can repair the hail damage on our premises. Small hail jobs can usually be done in 1 or 2 days and are often less then the excess on your vehicle insurance therefor eliminating the need to make a claim. We enjoy our work and take care to ensure each car is repaired professionally to a high standard.